Unique in South America, Suriname is a Dutch-speaking country, its population of just over a half million an eclectic mix of East Indian, African, Creole, Amerindian, Chinese, Indonesian, Caucasian, and other ethnicities. Almost half of Suriname’s population (241,000) live in its capital city, Paramaribo. This is also where BCM Suriname has its ministry headquarters as well as their central church plant, Evangelische Zendingsgemeente Berea (Berea Evangelical Missionary Church), founded in 1982. In 2018, BCM will be celebrating fifty years of ministry in Suriname, ranging from Bible clubs, Christian camping, youth outreach, church planting, and leadership training (see Celebrating God’s Church in the Equatorial Rainforest, BCM World, Winter, 2008). BCM Suriname director Imro Smit came to Christ himself as a child in a summer camp led by BCM Suriname’s first missionaries. 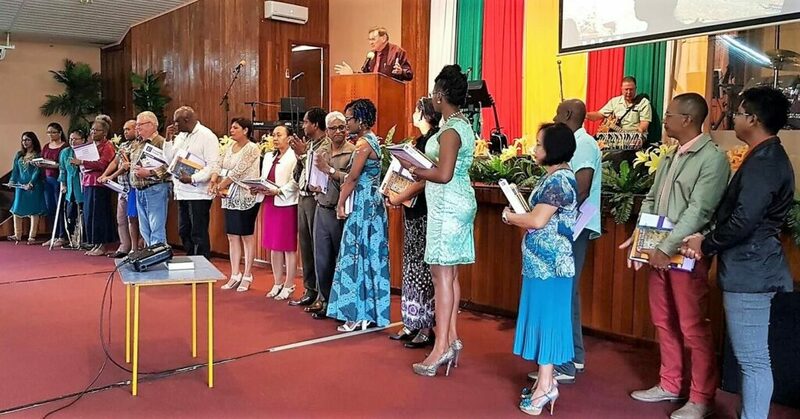 But one ministry need that has long been on the heart of BCM Suriname director Imro Smit and his wife Linda has been for church leaders and other Christians who have expressed a longing for a more in-depth Bible training than is available at a church Bible study or conference. 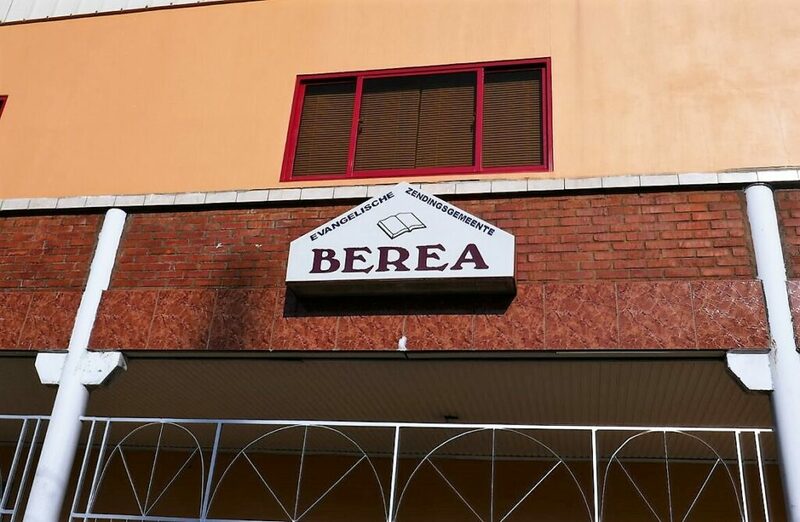 Berea church leadership has also seen the need of better-trained and equipped ministry staff and volunteers. 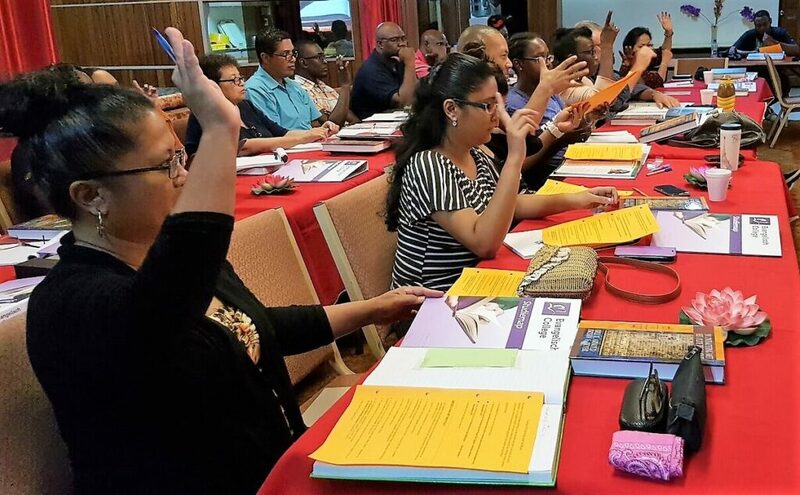 After praying about this need for several years, BCM Suriname was made aware in September 2015 of a Christian organization that helps churches set up Bible training institutes at a university level of education. Its program was exactly what they’d been praying for. And so was born the vision for the Berea Training Institute. But growing a small seed of an idea to the point of actually bearing fruit proved neither easy nor quick. Among the roadblocks were getting approval to translate the curriculum, a box of textbooks disappearing in shipping, and the loss of a key faculty member. Two years after the germination of that small seed of an idea, on Sunday, September 24th, 2017, an inauguration ceremony was finally held to dedicate the Berea Opleidings Instituut (Berea Training Institute). Thirty students received textbooks for their first course of study: Survey of the Bible. But even on the first day of classes, obstacles were still rearing their heads. Including an additional delay in the arrival of materials needed to actually teach the course. As stated, the goal of BOI is to train people for leadership in the church, and indeed most participants are already actively serving God. Among the students are church leaders, deaconesses, youth and worship leaders, children’s Bible teachers, and BCM Suriname board members. Two months into the training, one student, Ishita Sewdien, who has served for several years in children’s ministry, shares how the training is already impacting her life.